HERE ARE A FEW WEBSITES THAT YOU MAY FIND HELPFUL IN YOUR RESEARCH ON BELIZE. A great resource to anyone considering living overseas, be it Belize or somewhere else. Answers to lots of questions and lots of general information. Highly recommended. Consejo Shores Parks & Roads Trust Limited (CSPRTL and also known as the Trust) is a non profit organization formed in 2010 to maintain and manage the five community parks and the road network within the community. A website that has a lot of information on the Consejo area, Corozal weather, and many other topics. A number of our listings are on this site as well, with additional pictures. A planned seaside neighborhood in Northern Corozal District. This site has sales information on lots in Consejo Shores, and an interactive map that allows you to click on existing properties, both for sale, and existing properties, to get a feel for this community. 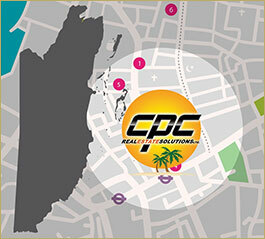 We are the recommended local realtor for property re-sales in Consejo Shores. We can show any of their lots, and act as your Realtor. The website of the Belize Tourism Board, with information on travelling to Belize. Henry and crew specialize in transfers anywhere in Belize; Cancun, Chetumal and Merida, MX; and Flores (Tikal) Guatemala. The website for the Belize Animal and Health administration, which has information on the process for bringing your pets to Belize. This site has an extensive listing of businesses in Corozal Town and surrounding area. A blog site where people discuss moving/living/ etc. to a variety of foreign countries. Follow the searches and prompts to discussions regarding Belize. This site is the Public Utilities Commission site providing information on utilities and rate decisions.